Muuuwahahahahahahaha!!! 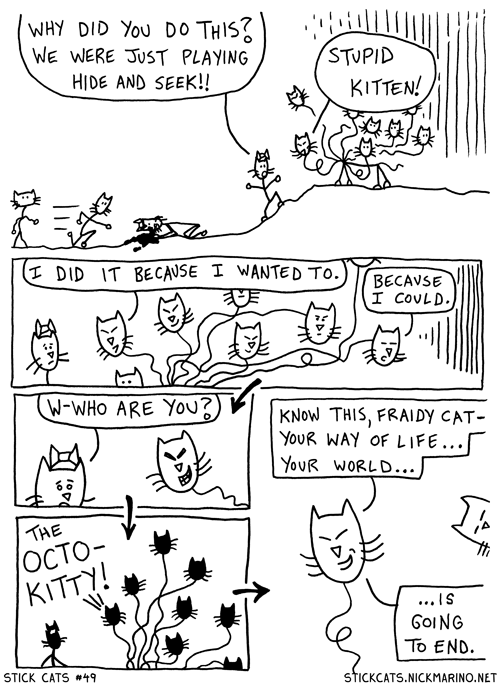 Oh Octo-Kitty, you're so evil! There's only one more page to go in Stick Cats #3 - Act 0!! See ya tomorrow.